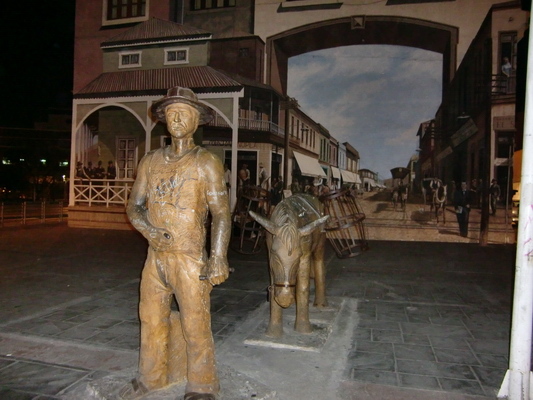 Copiapo is the capital of the 3rd region of Chile and one of the major mining cities in Chile. It is a very pleasant town with all facilities. Copiapo was in the news worldwide in the year 2010, because of an mining accident. Fortunately all miners could be rescued after several weeks. 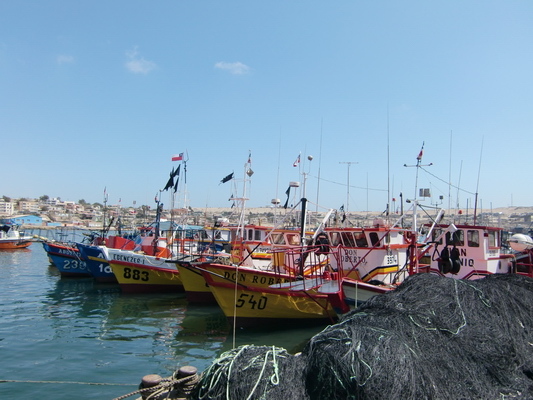 Antofagasta is the biggest city in Northern Chile and the capital of the 2nd region. 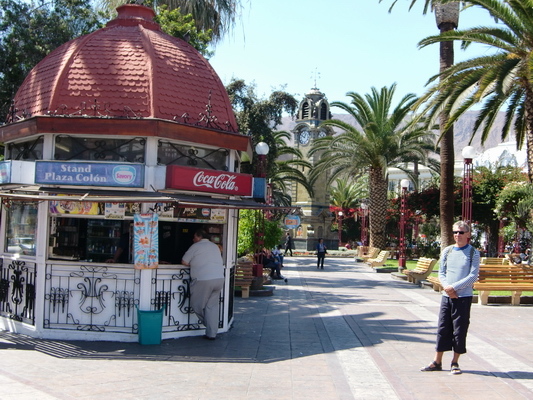 It is located on the Pacific Ocean and it looks much more urbanely like Copiapo - 250,000 inhabitants versus 100,000. 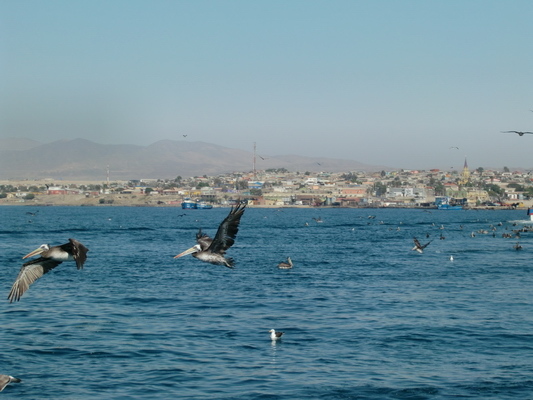 Between Copiapo and Antofagasta is the National Park Pan de Azucar on the Pacific with nice beaches and unbelievable game and birds in a very pristine environment. 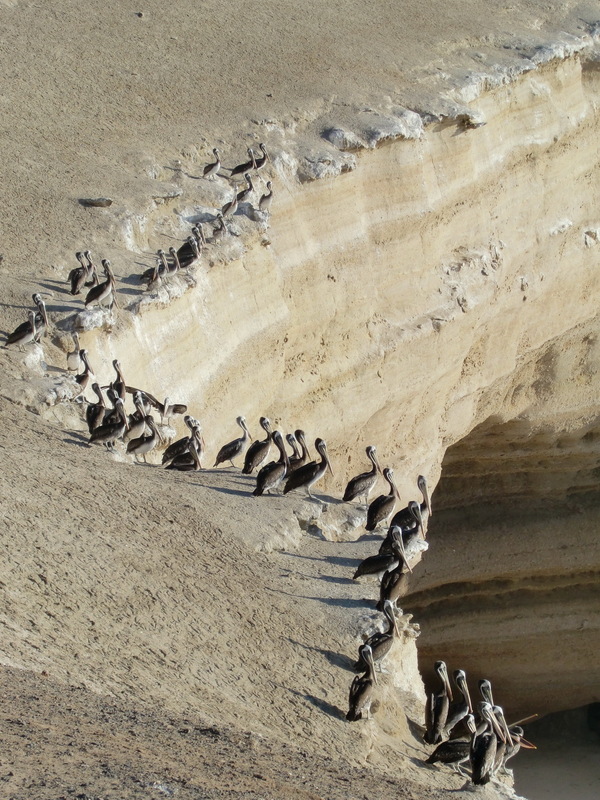 The name Pan de Azucar means sugar bread and its related to the white rocks due to the guano feces of the birds. We stayed several times in Copiapo, because we decided to make a sevice on our Camping Car. The problem was the oil filter, first the wrong was delivered and second it was shipped to La Serena, 350km south. 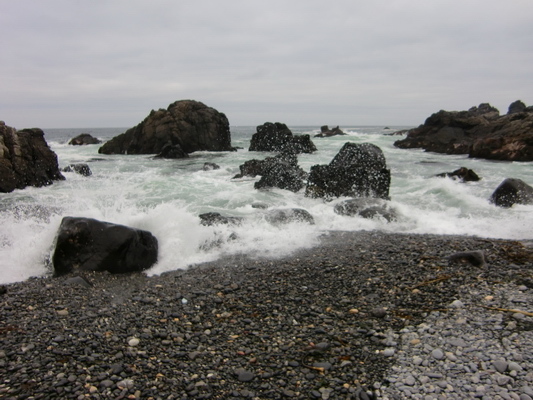 But we used the time to explore the beaches, which are 60 to 100km west of Copiapo. Our first destination on the Pacific was Bahia Inglese, a very noble and expensive holiday village. We spent two days there on a nice camping ground to free our car from the dust of the Paso San Francisco. The dust was everywhere, also inside the lockers! Totally different to Bahia Inglese is Caldera, a fishing port few kilometers north. It has a picturesque harbor with a lot of life. We took an invitation to a seafaring for little money. It was an outstanding experience. First the total white rocks - Pan de Azucar is 100km north! We explored a lot of remote beaches South of Bahia Inglese. Mainly we were totally alone; just some minor fishing villages were in between. 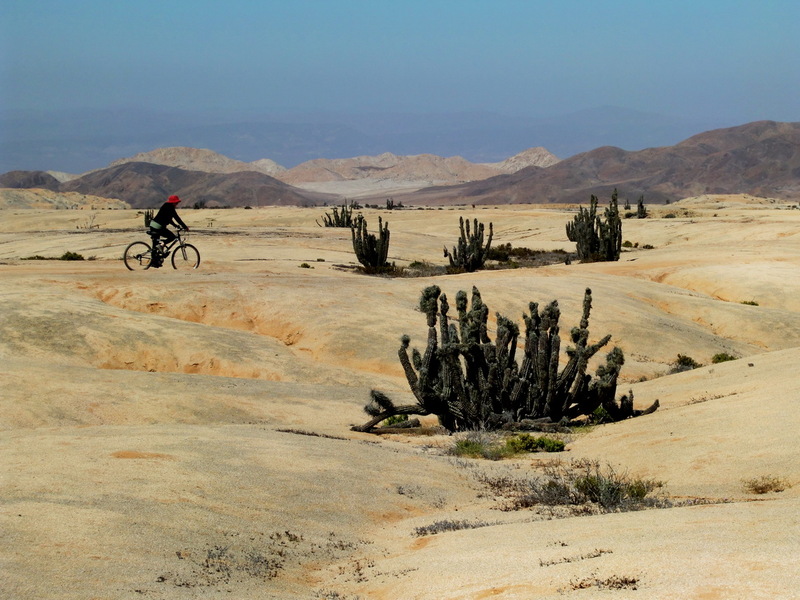 In the National Park Pan de Azucar, we used our new mountain bikes intensively, which we had purchased in Copiapo. 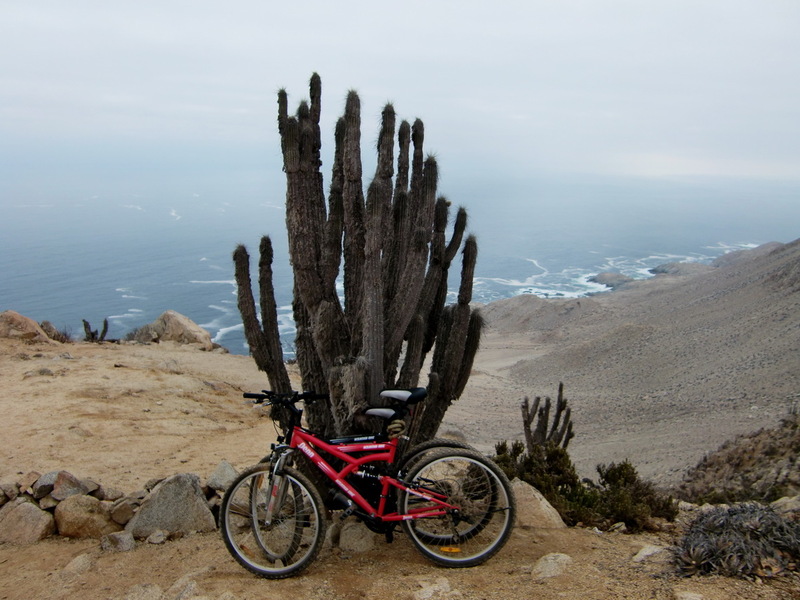 First we bicycled to a wonderful Mirador (Viewpoint), where we could oversee the central part including the island Pan de Azucar. 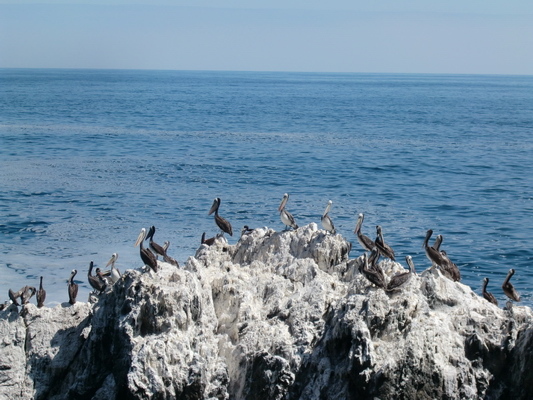 Another tour was to a vast plateau Las Lomitas, more than 800 meters over the Ocean. 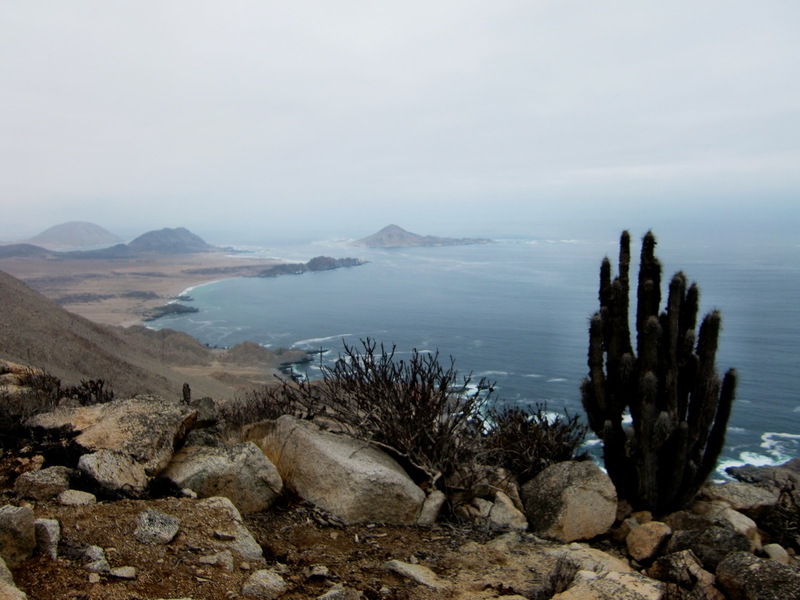 Due to the Pacific mist a lot of vegetation is growing there like many different and endemic species of cactuses. Unfortunately there was the usual cloud on the edge of Las Lomitas; so we could not see the Pacific Ocean. 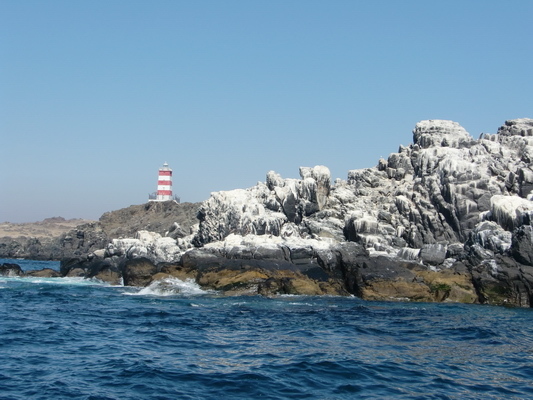 This National Park is very famous for the boat trip around the island Pan de Azucar. It was already the second time, we visited this park. We had done this fantastic seafaring 11 years ago. 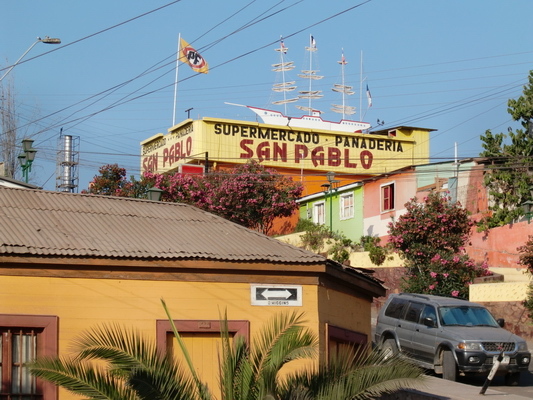 Taltal is a small and pleasant town on the Pacific Ocean, 70 kilometers north of the National Park Pan de Azucar. In former times it was a very important port for saltpeter, which had been mined heavily in the Atacama Desert. 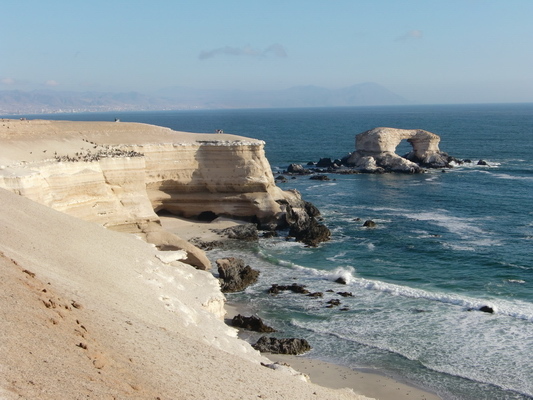 We drove few kilometers on the coast in direction Antofagasta. This street provides outstanding views to the Pacific Oceans. 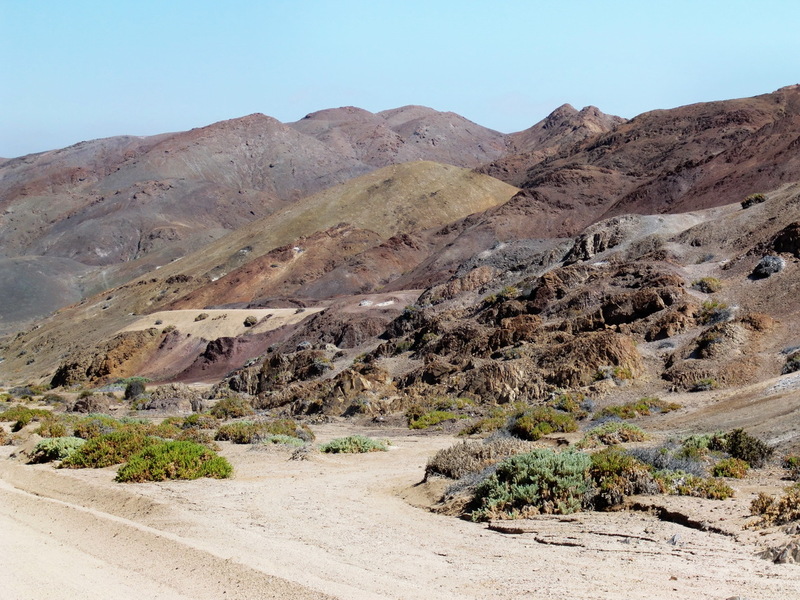 Later this street turns to an arid high valley before it enters the Panamericana 40 km in front of Antofagasta. This street was marked dirty on all of our maps, but it is now tarred completely. It is a very good alternative to the Panamericana. 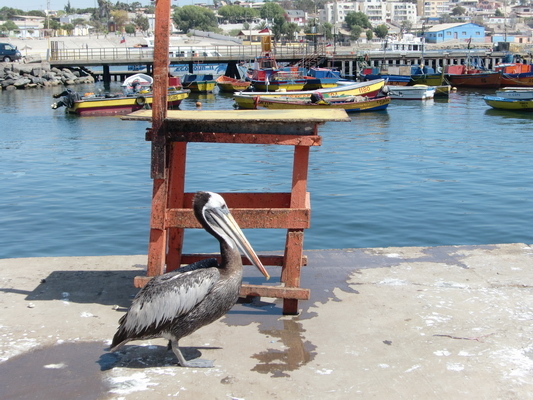 Antofagasta is a very nice and busy town full of life. It is a real capital with enormous shopping malls, some pedestrian areas, a lot of culture and plenty of good and cheap restaurants.